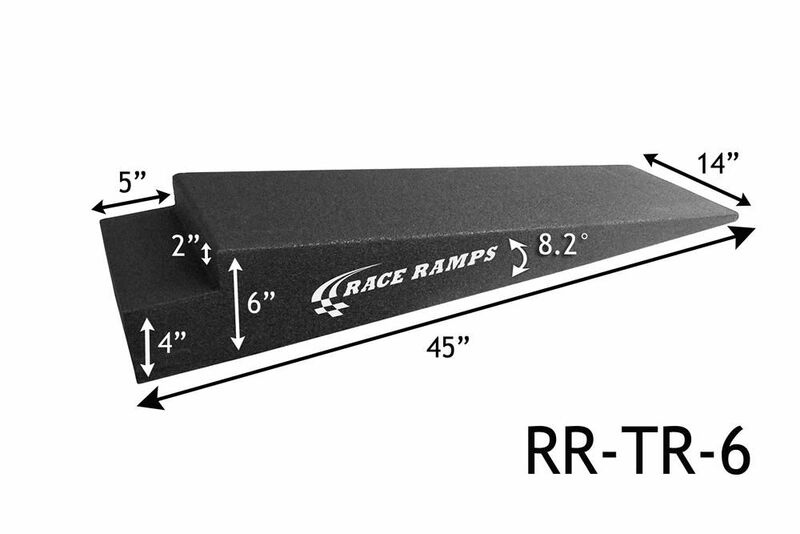 Trailer Ramps TR-6 are ideal for low ground clearance cars with extra wide tires. Trailer Ramps help get low ground clearance vehicles onto trailers without scraping the nose on the trailer ramp door. Trailer Ramps are another innovative use of Brute Industries patented super lightweight 100% solid construction technology. Designed for low profile cars with wide tires. 45 inch TR-6 Trailer Ramps TR-6 are ideal for low ground clearance cars with extra wide tires. Trailer Ramps help get low ground clearance vehicles onto trailers without scraping the nose on the trailer ramp door. Trailer Ramps are another innovative use of Brute Industries patented super lightweight 100% solid construction technology.